I happened to see Ippudo out of the corner of my eye as we were in the taxi on the way to our hotel. I had not been in Sydney, because the lines are always so long and it is so packed. So this was the perfect opportunity (and might I add cheaper in Taiwan than Australia!). The staff are very friendly and attentive. Once you are seated, you are served tea, at room temperature. The tea tasted a little like a grass-jelly drink. Not bad, just different. 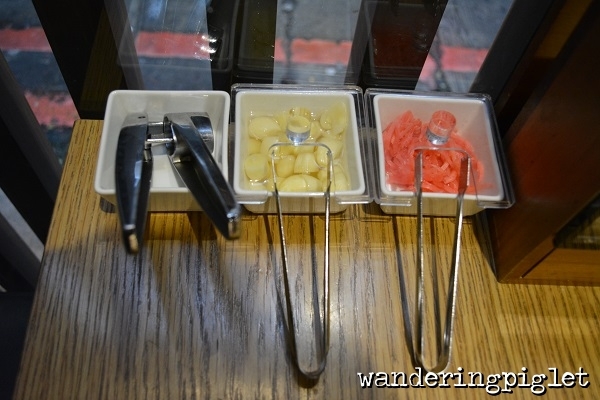 The Japanese ginger and garlic press condiments were very cute. First was the free small appetiser. 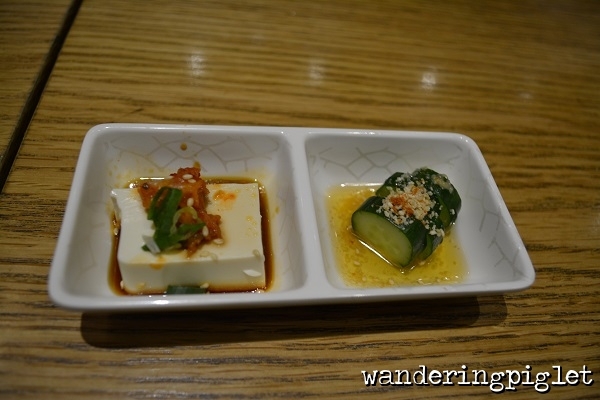 I quite enjoyed the little cucumber in a garlic/sesame infused oil. The tofu was in soy sauce. It was okay, but a bit bland. For entree we ordered the beef tongue (120NTD) and the Ippudo Original Bun with Teriyaki Chashu (60NTD). The beef tongue just tastes surprisingly like beef, with a piece of cherry tomato and onion fried on the skewer as well. 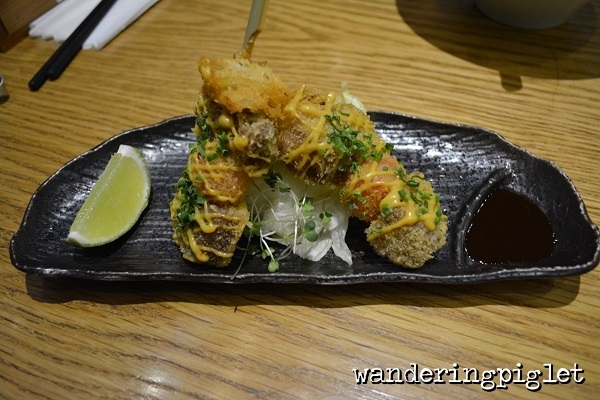 The batter is very light and crunchy, with the lovely sweet dipping sauce to go with it. 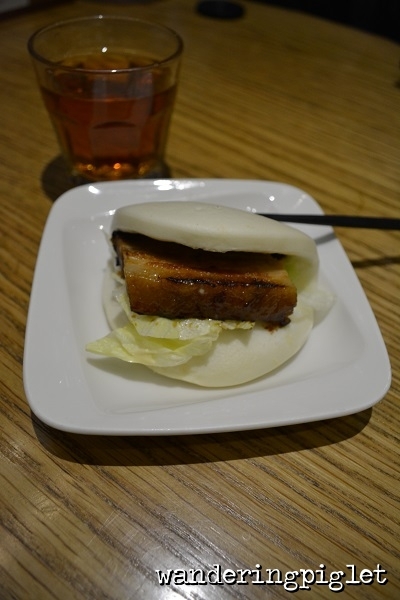 My hands down favourite though, was the Ippudo Original Bun with Teriyaki Chashu (60NTD). Yum. The Charsu is melt in your mouth, just the right amount of fat, a token piece of lettuces for a healthy sentiment and fresh crunch, but what really makes it tie together is the mayonnaise. Highly recommend this. 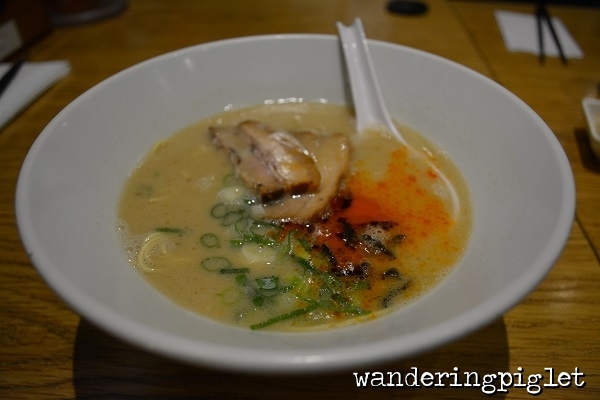 Next we had the Ippudo Ramen ! One word – delicious. 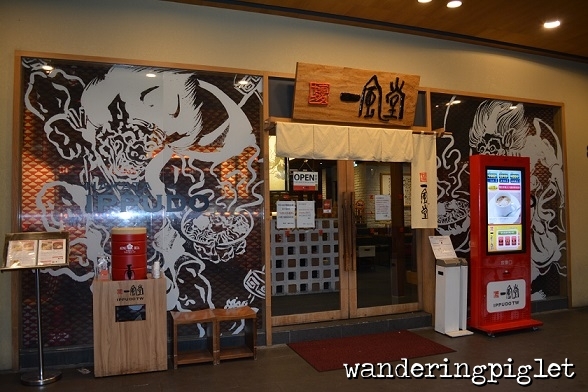 The broth is full-some, the ramen is perfectly cooked (the staff ask when you order, if you would like the ramen with some bite, or soft, and we all chose bite!). The pork is melt in your mouth and the black mushrooms add some bite and texture. 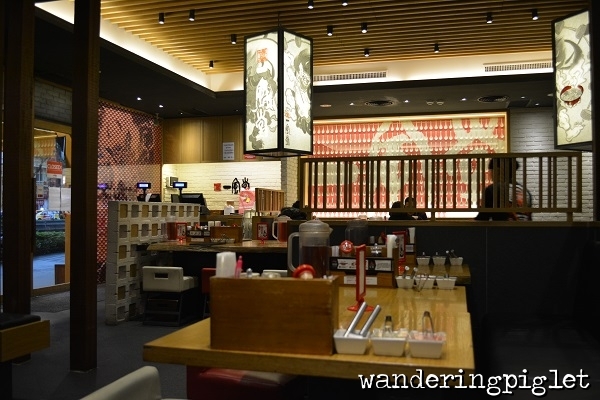 I still think I prefer Sydney CBD: Ramen Ikkyu but this comes in a tight second. On the left – SHIROMARU MOTOAJI IPPUDO original tonkotsu broth served with thin noodles, pork loin, bean sprouts, black mushroom & shallots (200NTD) which is ($15AUD). mushroom and shallots. 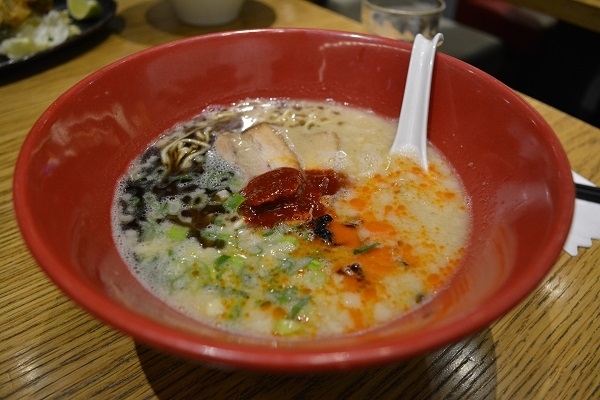 A refined, modern-style ramen. 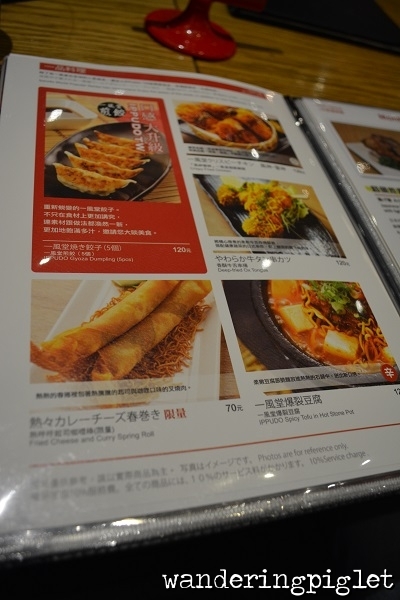 (230NTD) which is ($16 AUD).